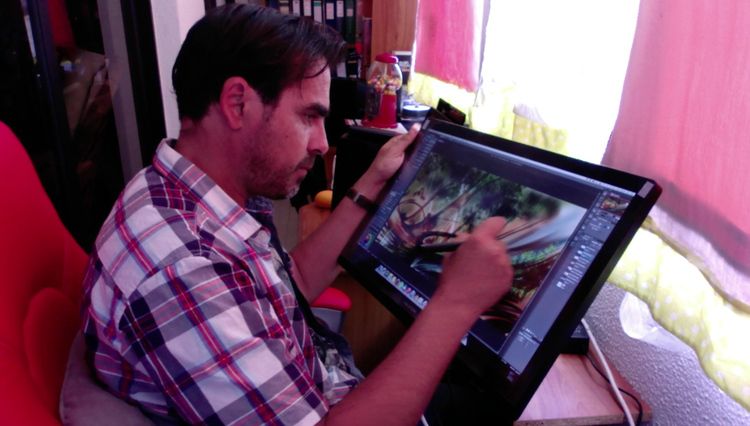 Luis Peres is illustrating professionally for more than 20 years. Since 1992 he created illustrations, greeting cards, designed posters, worked on comic books for school children as part of Eco-awareness campaigns, designed websites and even a lot of software design creating visual content and layouts for hospitality software among many other areas. That and also done a lot of generic graphic design.